BioHoney know their stuff when it comes to quality. They have searched for the very best honey in New Zealand’s beautiful South Island. The vision for this project was to promote Biohoney as a leader in the NZ Manuka honey industry and a premium provider of health food and skincare products. Their stunning new response website is fresh and engaging. In 2018 SunRoom further improved this beautiful WordPress website by adding eCommerce functionality. Now with the seamless integration of WooCommerce you can buy directly from their website. 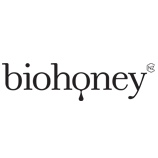 That’s right, their website is now a store, meaning you can buy Biohoney’s quality products online directly from them! It was a real pleasure working with the team at SunRoom! Despite the challenging brief we gave them, their professionalism and approachability made the whole website re-design process smooth. They went the extra-mile while still meeting our launch deadline. We are impressed with the final result and our customers are too! We’ve received only positive feedback to-date about our flash new Biohoney site and would work with them again on future projects. Definitely recommend!